“Sadr and Amiri” decide a new formula .. alternative to “take out” US forces! It seems that alliances have decided to find a new formula to emerge from the embarrassment to the masses in a face-saving way. 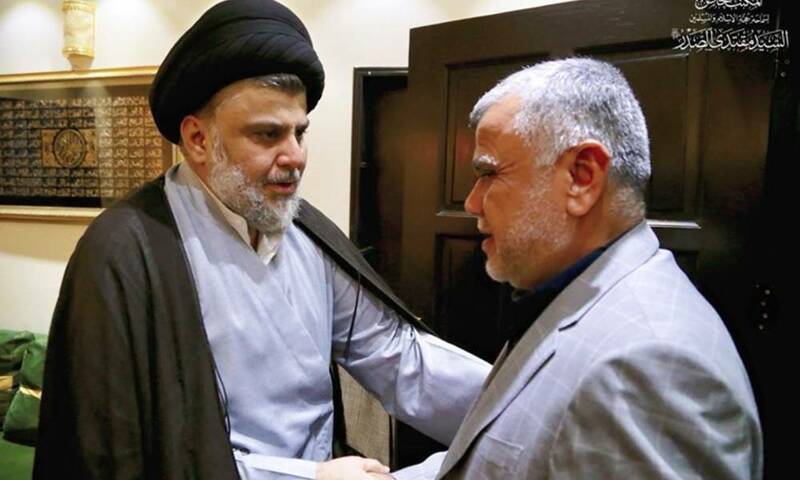 This is evident from the revelations revealed by Salam al-Shammari, a member of the coalition led by Moqtada Sadr, on the agreement between the leaders of the coalition and the spearhead led by Hadi al-Amiri to oblige the government to determine the number of foreign troops inside Iraq, and not allow the presence of land or air bases inside the country. The agreement came after a meeting between the leaders of the two alliances, on Tuesday, on the sidelines of finding a way out of the crisis to complete the cabinet cab of Prime Minister Adel Abdul Mahdi, and naming the presidencies of parliamentary committees and exercise its oversight role effectively. Shammari said that the Iraqi constitution rejects foreign presence inside Iraq, as well as that it was agreed to remove US forces as happened in 2011, and maintain the unity of Iraq and its land and air sovereignty.